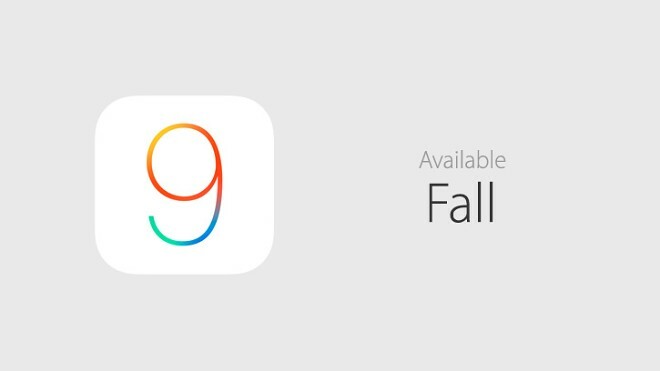 If you have been an iPhone user for some time now, you surely remember the major update problems associated with iOS 8. Its 6GB free space requirement left a lot of Apple users struggling to cram everything in on their phones. This, along with some serious initial bugs, led to a slow rate of adoption, a setback that Apple doesn’t want to repeat with iOS 9. Consequently the tech giant has taken measures. 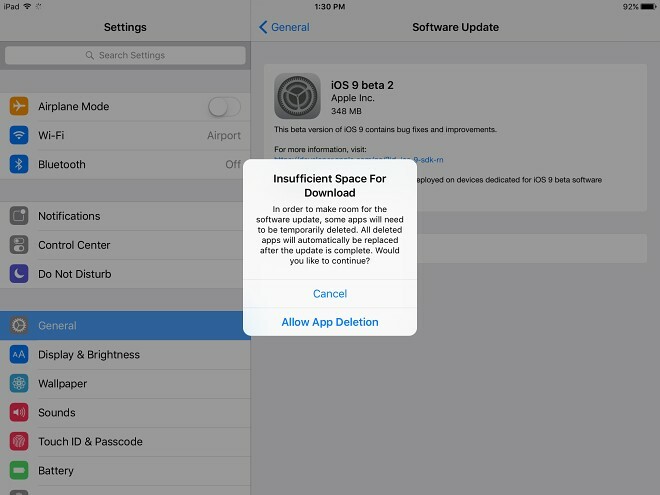 An iOS 9 beta adopter managed to spot a rather intriguing prompt, revealing that if your device has insufficient storage to install the update, Apple can automatically delete some of your apps, with the promise of reinstalling them immediately afterwards. This sounds kind of irrational at first, but is actually a viable way to safely free up some space for the update to get downloaded and unpacked. On devices with no expandable storage, there are actually few other options and doing away with personal files isn’t exactly the first choice for a lot of users. However, the prompt doesn’t really mention anything about the app data and its fate once the apps get uninstalled. We can only assume that it is going to be left intact for use after the reinstall, but, a little reassurance in the text would have been nice. There is also the question of insufficient space to get everything back the way it was after the update. The iOS 9 update package is only 1.3GB, so, in theory, this shouldn’t happen, seeing how it is a lot smaller than the iOS 8 OTA was. However, this doesn’t necessarily mean that once everything is unpacked and various dependencies are pulled and put in place, the footprint of the new OS won’t be bigger than its predecessor. Hopefully, Apple has taken all of this into consideration and updating to iOS 9 won’t leave a major mess on your device.